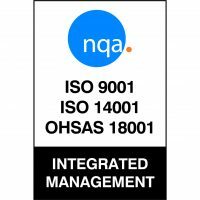 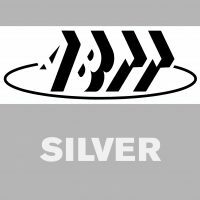 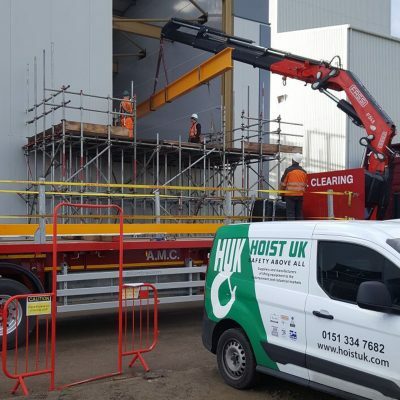 A main contractor contacted us on behalf of a major food industry customer who required a lifting and handling solution to load a trailer outside of the building from the second floor loading bay doors. The customer required a lifting system that could accommodate loads of up to 3,200kg and could extend out of the loading bay doors giving a healthy amount of clearance between the load and the building. 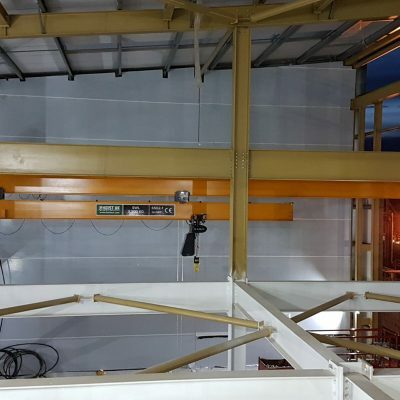 Following a site visit to plan the project we calculated that a 2.7m clearance would be needed to safely lift the load down from the second floor loading bay, which combined with the lifting capacity of 3.2 tonnes and the need for fast installation was a challenge. 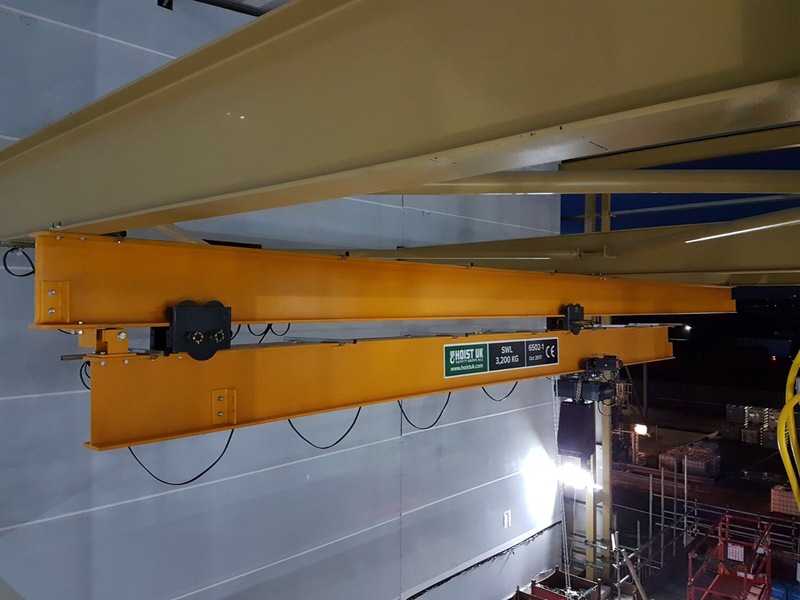 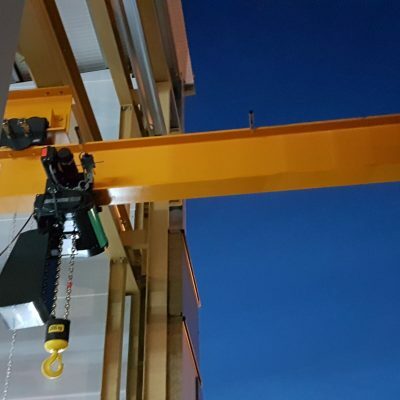 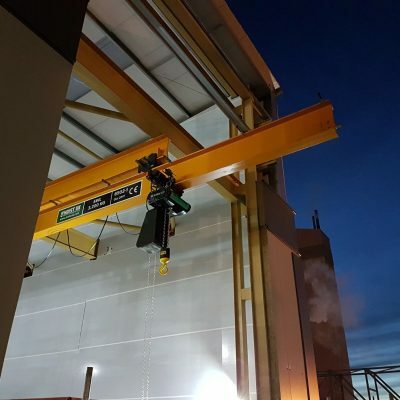 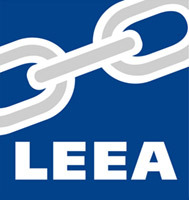 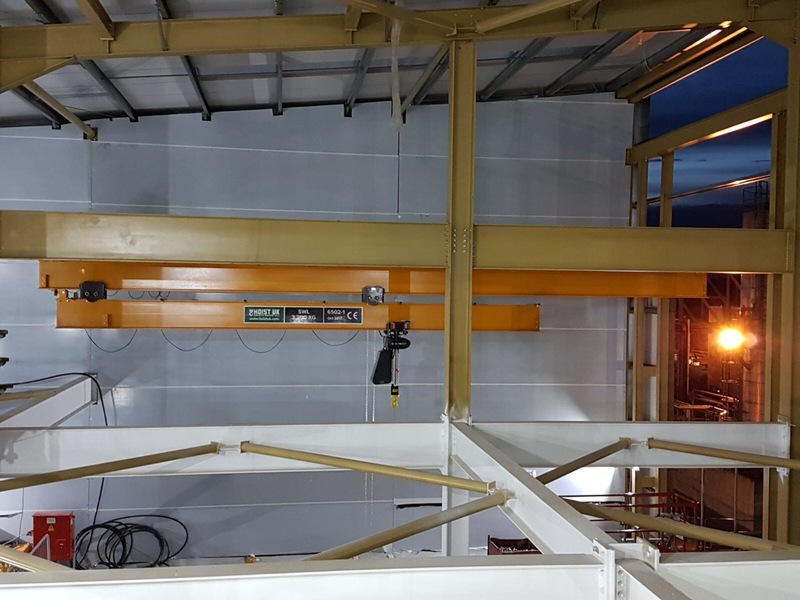 The lifting solution we planned and presented to the customer was a run out crane with electric chain hoist which would ensure that loads could be safely lifted up and far enough out away from the building before being lowered into the awaiting trailers. 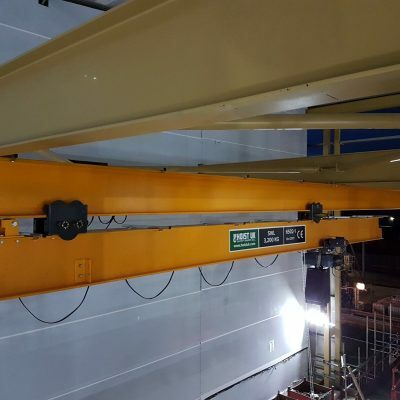 was a hand geared 9 metre runout beam featuring 2.7 metre length cantilever. 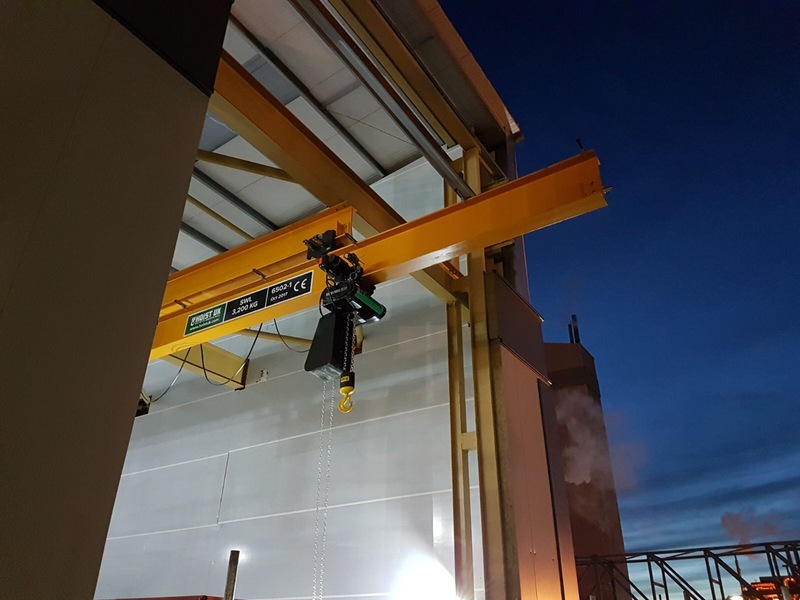 The runout beam was fitted with a Eurochain VR16 electric chain hoist providing the required 3.2 tonne load capacity, 8 metres height of lift and complete with a motorised travelling trolley. 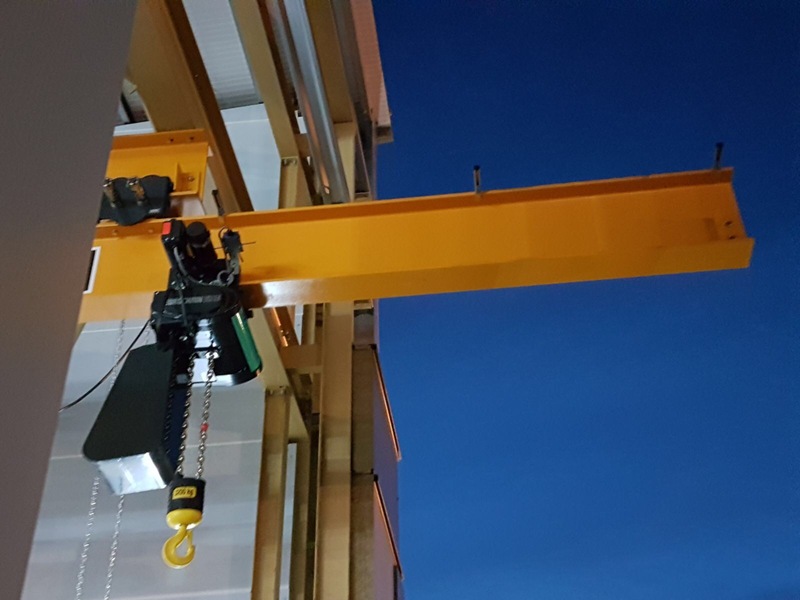 The VR electric chain hoist was supplied and installed complete with radio control.